We are able to give you a prompt free estimate for any work you may require. Written estimates include a list of work to be done. We can undertake projects of any size from single rooms to multi room buildings. We work normal business hours but if required we can negotiate to work nights and weekends to provide services that suit your needs. We endeavour to maintain a friendly approach and show respect to you and your home. We work efficiently and to health and safety standards. Our tradespeople have all passed security checks and are some of the most experienced and qualified available. 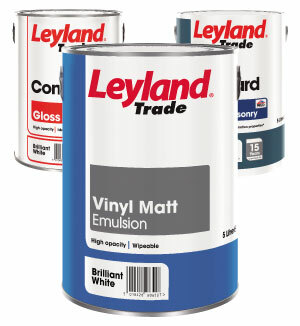 PAINTS and your Health - we are currently using virtually NO odour in our gloss, eggshell and emulsion paints. I honestly can not say enough how reliable, understanding and well prepared he was. He faced a fair few challenges in this job none least the fact that I was living in a different country trying to prepare the house for sale, but where many others would have walked off the job he not only remained but he did a great job inspite of the difficult conditions 20 Mar 2013 Karen, EH47!"